Exclusive Custom Homes has a combined 30 years’ experience in residential design and building. We are extensively experienced in projects ranging from new homes, to home additions, to home remodels to finished basements. ECH works hard to take our clients visions and make them work both structurally and aesthetically while always keeping budget realities in mind. With having both design and building experience, ECH is truly able to bring a project from vision to reality. 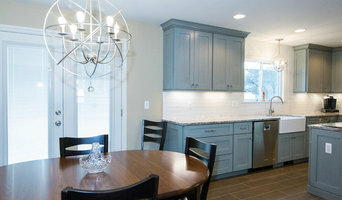 Captivating Homes & Remodeling, L.L.C. was established by Anthony Schram in 2001. Our philosophy has always been exceptional quality at affordable prices. The work ranges from starter homes to full interior and exterior renovations, as well as custom homes from the ground up. Our business has grown due to our satisfied customers, which has led to a steady stream of referrals. Anthony Schram - President Anthony graduated from Michigan State University with a degree in Building and Construction Management, and a minor in business accounting. After graduation, Anthony spent four years mastering his skills working for Pulte Homes in Illinois. As a Construction Superintendent his responsibilities included managing homes from excavation to completion. As a member of the Pulte team Anthony closed over 1000 homes, and learned the true meaning of customer satisfaction. Wanting to return to Michigan, Anthony joined Crosswinds Communities in Novi. While at Crosswinds he managed construction operations for multiple residential projects all over South East Michigan. From there, he moved his skills to R. Lockwood Construction, L.L.C in Bingham Farms. While at Lockwood he managed several projects that include luxury apartments and assisted living complexes. In 2001 with his knowledge of both residential and commercial construction, Anthony decided to start his own company. Award winning design firm specializing in unique projects with unique clients. When you hire Renovations Unlimited, we work with you closely to develop a plan that is a perfect for you and your family. Designing the entire project from start to finish will be performed efficiently as well as meticulously. We are a team of professionals that you can trust. I provide full service Residential Design services from Site Analysis through Lighting Design. I utilize a visionary design process I invented and Trademarked called, "Psychology of Environment". This process entails an enlightening lifestyle questionnaire, a room by room checklist and thorough dialogue that are designed to allow me to attain a concise understanding of your personal preferences, intended lifestyle and emotional relationship to architecture. Every project begins with an extensive Site Analysis that includes ideal vistas, vehicular and pedestrian flow, topography, tree salvage and Solar Studies. We will discuss each room of the home and the desired vistas and intended sun exposure at specific times of the day. The home should cohesively meld with the property in a harmonious and intentional manner. Metro Detroit’s top architects and most prestigious builders look to Millennium for unsurpassed service and the finest quality custom cabinetry. Millennium has been designing and manufacturing elegant wood cabinets for the entire home for over 27 years. Millennium also offers complete design services from space planning to selecting, ordering and installing appliances, tile, granite, flooring, lighting and plumbing fixtures. Our award winning design team provides the most detailed computer aided drawings, bringing your visions to life. With a licensed builder on staff we are able to offer complete renovation services on both a large and small scale. We will coordinate and oversee every aspect of the project to truly make Millennium a one-stop design & service destination. Specializing in Kitchen and Bath Design and New Construction Residential Homes. We work hand in hand with our clients to create kitchens and bathrooms that are not only stunning, but functional as well. We work locally with many cabinet / counter / flooring and tile vendors and offer discounts on material and labor. For over 15 years, discriminating architects and savvy homeowners have come to rely upon the superior craftsmanship and expertise of Kastler Construction. 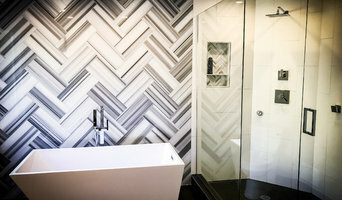 Our firm has collaborated on some of the area's most noteworthy renovations and newly constructed homes, thus building a reputation as one of the Oakland County's premier construction firms. From custom kitchens to luxurious bathrooms to more living space and custom built homes, we believe in total customer satisfaction from start to finish. We collaborate with only the top skilled trades people and the highest quality suppliers, in order to consistently produce projects that exceed the dreams of our homeowners. Please call us today at 248-655-5580 to get the conversation started on your next project. We guarantee you will be surprised at how affordable it is to use a company whose name is synonymous with superior quality and craftsmanship. 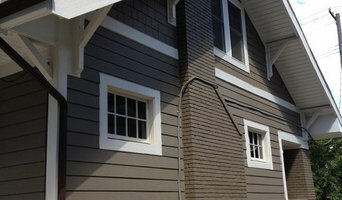 Mintzer Building Co. is your Michigan home builder specializing in new construction and remodeling. We are a team of professionals whose very specific goal is to exceed our customers expectations. Beginning with our first meeting to long after we have completed your custom project we want your experience to be exceptional. This customer comes first approach enables us to make all your construction needs, desires and dreams become reality. So rest assured that when you partner with us your project will be managed from concept to completion by the owner/builder. Sterling will work alongside you to ensure we create a unique home that you are just as proud of as we are. Just like most things in life, the more effort you put in up front, the greater the results in the end. For us this means establishing a comprehensive scope of work and providing effective communication throughout your project. A detailed scope of work clearly defines the tasks/work that will be accomplished and the selection of materials that will be used on the project. The information found in the scope of work is critical as it determines the project's budget, schedule and ultimately your expectations. A successful construction project begins and ends with effective communication.We pride ourselves in open, honest and robust communication. We want you to enjoy the experience, know your options and make informed decisions throughout the building process. That is why we have created a process that combines online tools and personal communication to keep our clients involved enabling a smooth building experience and ideal outcome. DreamMaker Bath & Kitchen of Ann Arbor is a full service remodeling company built on our guiding code of values. 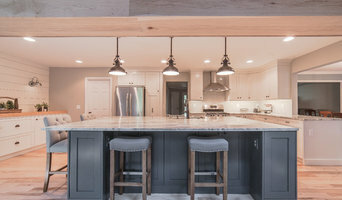 Our success has been based on our unique design/build process, coupled with a full staff of designers and carpenters focused on delivering the highest levels of professionalism, quality and customer service. With 10 years of service to the Ann Arbor area, DreamMaker has completed over 500 remodeling projects and has been the recipient of multiple design and customer service awards. Realizing that our clients live with the results of our work, the DreamMaker team focuses on personalized designs that fit each client’s taste and style, as well as, maintaining our goal of enhancing lives while improving homes. We are proud to be an Authorized Dealer of Medallion Cabinetry. Elkay Authorized dealer. Best Deal Building & Bath specializes in bathrooms, kitchens and wall removal to help create open floor plans. We understand your project may require multiple trades and we would be happy to oversee and manage your entire project from start to finish. We are a small company where you are in direct communication with the owner (Roger) all the time, never a salesperson. The reason Best Deal Bath works so well? You get the experience without the overhead. I don’t have to pressure you for your bathroom or similar project. Get other quotes and find that my price is fair - your project will look spectacular when Best Deal is done. We will BOTH be proud of the result. With the world today based on the internet, I cannot afford to have job problems. I only take on work that I know I can complete in a timely, professional manner to make customers happy. We all live in a world with enough stress. A project in your home interrupts your daily life - you should not have to worry about the contractor being on time. The work will be completed on a schedule we decide together. It's all about communication. We're here for all your home improvement needs; please give us a call to discuss your project.